Google page rank is updated on august month for all the pages.Many of the bloggers have got a higher page rank and some of them lose their blog page rank.In the latest page rank update from the Google ,My blog MoreTricks.com has got a page rank value of 2.It was 0 for moretricks.com before updating the page rank. 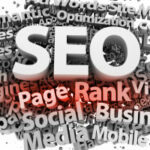 The page rank is depends on many factors and its mainly depends on the number of links to your blog or page. As I said ,The Google page rank depends on many factors.The most important thing is the link building.If you are new to the blogging or your blog is new you have to check the below article to get a higher rank in next update. Even my blog URL is 2 months old,in the latest update my blog www.moretricks.com has got a page rank of 2.It was a sudden jump from page rank 0 to page rank 2. The secret behind this page rank is availability of original content and updated content.Since my blog is updating on a regular basis most of other blogger are connected with my blog ,this increased the back links. The other one secret is the guest blogging.You can write in other blogs having high page rank to get high traffic and quality back links. 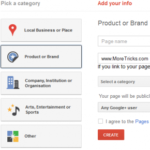 What is your blog’s Google page rank ?What you think about this update ? does the traffic of a blog depends upon no.of posts in the blog ? Rather than the number of posts ,Quality of the posts is important..
its nice to hear that your blog has now page rank 2.well,its the result of your hardwork & your nice articles. i would like to thank him as he is alo giving a chance to build a link….thanks a lot abdu…love you. well done i have a pr 2 as from august aswell. is really nice to go through ur blog. and more is to know that u are doing B.tech and have made your presence felt online. Both of my blogs are PR2. One of them I put a ton of work into and it has a lot more articles, the other is an afterthought, but they both have PR2. I wonder if PR2 is just a very common page rank?